It’s a common question. And a neat practice to do with kids, your partner, and anyone. It helps get to the core of who you are and what you value. I’d invest it in an effort that would change the world. One that would improve it as dramatically as possible. Better yet, an effort that would change how people decide ‘how to change the world’. 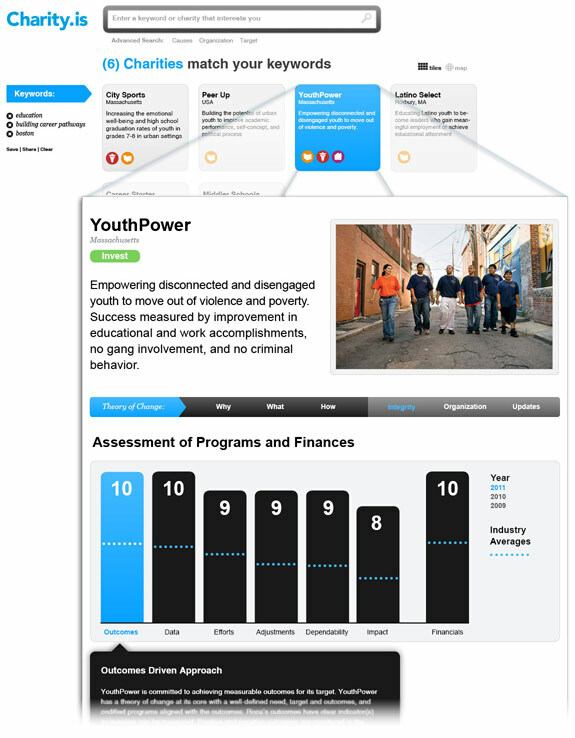 An effort that helps people find the charities and organizations they want to invest in. Whether it’s based on location, service area, how deep or wide the impact is, and more. This effort would communicate information about the charity without judging them. Instead, it would help you understand the in’s and out’s of making that decision for yourself. It would help you decide if supporting a charity that serves 100 kids in very wholistic and deep ways is better for you vs. supporting a charity that serves 100,000 children but in a very niched, less wholistic way. It’s not about which charity is better. It’s about which one is better for YOU. The end result is that you’re supremely comfortable and confident in your donation. And, you’re more likely to give more to more places in the future. All so we can grow philanthropy and improve the world. Pipe dream? No. Why? Because there’s a group doing it. A while back, Dan Pollata dreamed of an iTunes for charity and I’ve pushed for a social stock market. But so far, one of the best efforts is coming from the The Common Wealth Market. I recently got a sneak peak of their Charity.is. A beautiful effort, 3 years in the making, to share unbiased information with the public about organizations and their impact. Most of all, it communicates the charity’s effectiveness and results allowing the supporter to make their own decision. Explore their efforts and support them. Plus, when the site goes live, the money you invest now goes to whatever charity you pick later using the tool. Genius works. Help support it.